The 50% working draft represents the input received to date. We encourage your input and comments on the draft document and on the initial set of performance goals/matrices. 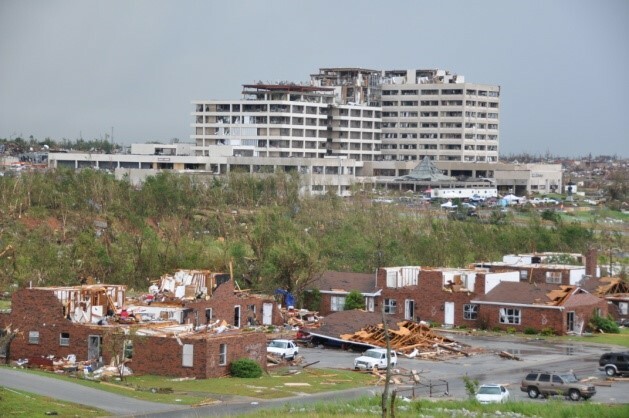 The National Institute of Standards and Technology (NIST) in Gaithersburg, MD, is hosting the third in a series of workshops on Disaster Resilience of Communities on October 27-28 at the National Center for Employee Development (NCED) Conference Center and Hotel in Norman, Oklahoma. The goal of this workshop is to gather sector-based resilience experts, government, industry and academic leaders, and other stakeholders in community resilience to directly contribute to the development of the Disaster Resilience Framework. This workshop focuses on interdependencies among buildings, infrastructure systems, and social systems in a community; continued development of the Disaster Resilience Standards Panel (DRSP) charter documents; and resilience metrics. An updated draft of the Disaster Resilience Framework will be available a week or so prior to the workshop. This is an excellent opportunity to contribute to the development of the first generation of a framework that will provide communities of all sizes with a methodology to improve their resilience to hazard events, maintain their social fabric during and after disruptive events, and contribute to the economic prosperity of the nation in spite of the hazards that all communities face. The framework is the first step in a long-term, stakeholder-driven process that will provide suggested performance goals for the built environment and guidance to achieve those performance goals. An updated draft of the Disaster Resilience Framework will be posted on the website approximately one week prior to the workshop. The revised, 50% draft has incorporated input from the July workshop that was held at the Stevens Institute of Technology in Hoboken, NJ. Who should attend? NIST invites experts and leaders in resilience-related fields, including, but not limited to: emergency management, business continuity, urban planning, architecture, engineering, economics, local and regional governance, transportation, water and wastewater, communications, social sciences, electrical power, standards and code development, and disaster planning and recovery. The NIST-hosted event will begin at 8:30 am each day and will end at 2:15 pm on October 28. An optional tour of the National Weather Center is available to interested participants upon adjournment. The registration fee is $150.00. Space is limited.